Time...time to start living, like just before we died. In late summer of 2008, at the suggestion of longtime friend/Foo Fighters frontman Dave Grohl, Alice In Chains met with producer Nick Raskulinecz to talk about the possibility of collaborating on a new album. By early fall, the band and producer had hunkered down at Grohl’s Studio 606 in Northridge, CA, and were hard at work on Alice In Chains’ first new studio release in more than 10 years. Production eventually moved to the famed Henson Studios in Hollywood, and by spring of 2009 the band emerged with 11 electrifying songs about faith and perseverance. They titled the album Black Gives Way To Blue after the song of the same name, a heart-stirring tribute to Layne Staley, their brother and vocalist who passed away in 2002. The song features a special guest appearance by Elton John on piano. The album’s genesis can be traced back to January of 2005, when drummer Sean Kinney called Cantrell and bassist Mike Inez about getting together for a benefit show to raise money for tsunami relief. It was the first time in nine years that the three had performed together and following the loss of Staley, was the first in a series of little steps toward hope and healing. 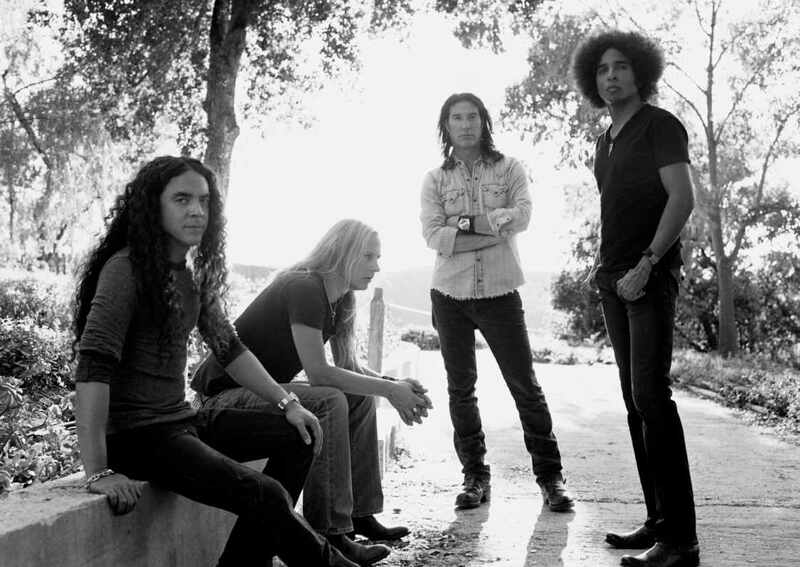 Enter William DuVall, a gifted singer and guitarist from Atlanta who had previously worked with Comes with the Fall and as part of Jerry Cantrell’s touring band for his solo work. As live audiences discovered, DuVall brings a sound and stage presence all his own, and when DuVall and Cantrell blend their voices—as Cantrell and Staley did so often—singing together over the rhythms of Kinney and Inez, there could be little doubt that the spirit of Alice In Chains was once again alive and well. "I've joined a group that has a strong identity and a strong legacy," says DuVall. "Nobody wants to, in any way, disrespect or sully that legacy. You want to add to it." And it was while on the road that the quartet opened itself up to the idea of writing new material. “If we had gone through all of it and felt that it didn’t live up musically to the legacy of the work we’d done before, then we would’ve shelved it,” says Cantrell. “We would’ve known for ourselves that this is the end, and that would’ve been cool. But that didn’t happen. You ask yourself questions like, is this record something positive to add to the catalog? Is it worthy? And the answer is yes, it is. But you don’t know that until you go through the process. We all busted our asses and have been rewarded with a record that exceeds our own expectations.